Rosanna “Rosie” Hackett, from Dublin, Ireland, was many things during her life of 82 years – a member of the St.Stephens Green / College of Surgeons garrison during the 1916 Easter Rising, a founder member of the Irish Women Workers’ Union, a member of the Irish Citizen Army and perhaps most notably of all, a prominent trade unionist, staunchly dedicated to worker’s rights and particularly those of women. Born poor in central Dublin in 1892, Hackett became a union member at the young age of 17, joining Jim Larkin’s ITGWU. Later, she began working in Jacob’s Biscuit factory where conditions at the time were, according to Larkin, ‘sending them from this earth 20 years before their time’. 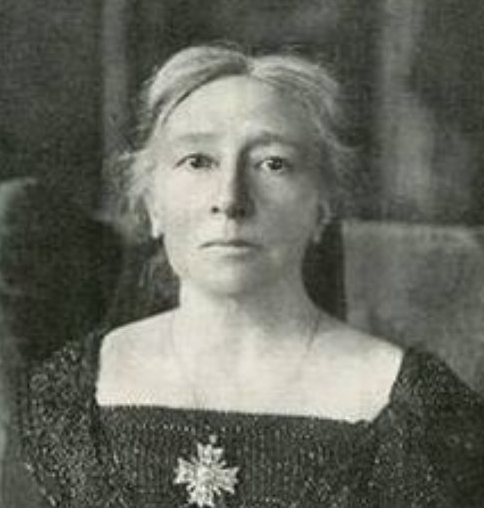 During the 1913 Dublin Lockout, she not only mobilized women workers to strike in solidarity with their male counterparts, but she aided in providing food and support for the strikers and their families during a time of rife poverty. She later witnessed copies of the historic document being printed (she was a trainer printer) and was said to have handed a copy to rebel leader James Connolly, with the ink still wet. An active member of the ICA, taking part in route marches prior to the Easter Rising, she joined the garrison fighting at St. Stephen’s Green, when under fire from troops in the Shelbourne Hotel, she moved with Michael Mallin and others to the Royal College of Surgeons, where she worked as a first-aider, being imprisoned in Kilmainham Jail for a time afterwards. You can read Rosie’s eye-witness account of the 1916 Rising here. Rosie continued her union work for over 40 years, being involved in many actions for worker’s rights. Recognized for her dedication and life’s commitment to it’s cause, she was awarded a medal in 1970 for her lifetime’s involvement with the Trade Union movement. She passed away in 1976, aged 82. A bridge over the River Liffey in Dublin was named in her honour in 2014.